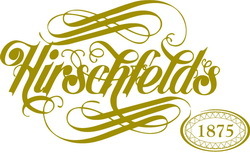 Hirschfelds Ltd Offer A London Jewellery Valuation And Jewellery Appraisal Service. 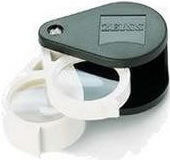 Jewellery Valuations London Appraisals & Jewellery Insurance. Jewellery Valuations and evaluation are undertaken on antique jewellery, vintage jewellery and modern jewellery. We specialize in Diamond valuation too, including valuing Old cut diamonds. Diamond Certificates Hatton Garden jewellery valuation and London jewellery valuers for insurance. 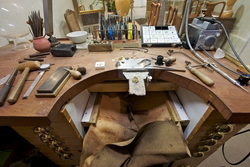 Jewelry appraisals - UK's leading specialists with expertise built up over 142 years. You can be sure of accurate, reliable help and advice. 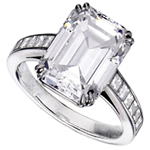 Jewelry valuations London Hatton Garden. Do you need to have your precious jewellery possessions valued for insurance replacement, or to find out what your valuable jewellery is worth? Our valuers are able to appraise and assess the value of your treasured items accurately for insurance purposes, retail replacement, probate valuations and post-loss evaluations. Jewellery valuation for probate purposes. This valuation provides the administrators of an estate with a valuation for the current price of a piece of jewellery. This is the price that would be realised if the item is sold on the open market. Whether you require advice on a relatively modest individual purchase, or guidance on the sale of a multi-million dollar collection of jewellery. Our jewellery specialists will provide you with all the assistance you need regarding jewellery valuations. We also act on behalf of clients to acquire and dispose of fine jewellery and estate jewellery. A professionally prepared valuation is based on the current cost of replacing your jewellery with similar items. Your personal jewellery including: Diamond jewellery, Platinum and gold jewellery, Engagement rings Wedding rings. We provide a comprehensive list of information with detailed descriptions to enable identification, with an opinion of the value of each item of jewellery, as well as the total of the valuation. Insurance Claims: In the unfortunate event that an item of jewellery is Lost, Stolen or Broken we shall compose a letter to present to your insurance company. Gemstone and Diamond Certificates London. For Diamond and Gemstone testing, certification and Certificates, our qualified Gemmologists will provide you with a London Laboritory certificate which states the type and variety of gem material, as well as a list of all the physical characteristics of the gem, such as weight, clarity, colour and measurements. The diamond certificate or diamond grading report is a document containing the characteristics of the diamond. It is the pedigree of the diamond and becomes a valuable document in case of loss. Certificates are not a valuation or appraisal. The certifiacte does do not contain any information regarding the value or price of a diamond. If you are the owner of a diamond, we can submit it to a laboratory for a grading report. The most important service that these laboratories provide is an impartial examination. 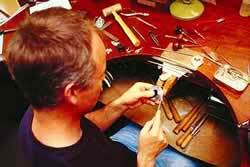 We also offer a Hallmarking Service with the Assay Office London. For really interesting information about London hallmarks and Goldsmiths' Hall. Please click here for The London Assay Office. We are open Monday to Friday for jewelry valuations.